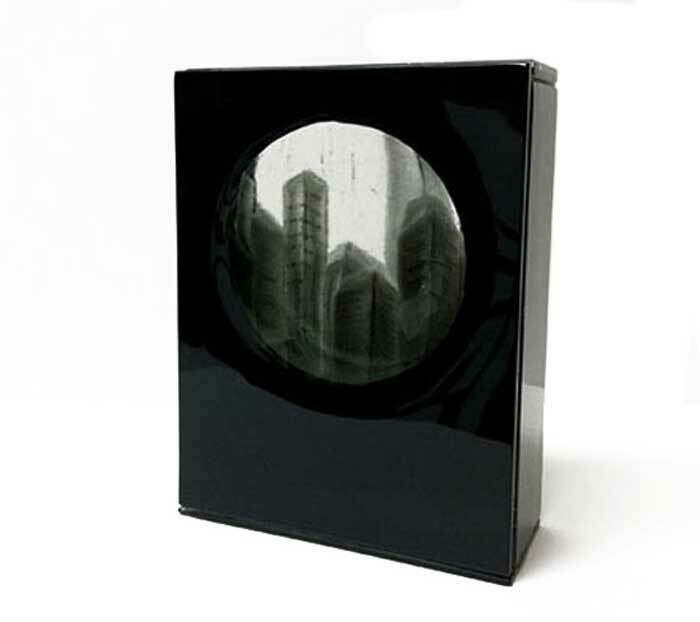 Glass artist Ruth Oliphant is concerned with the interrelationships between place, visual memory and perception. She is intrigued by the way impressions of a destination are filtered through memory and experience, with her most recent work based on an extraordinary visit to the city of Cairo. 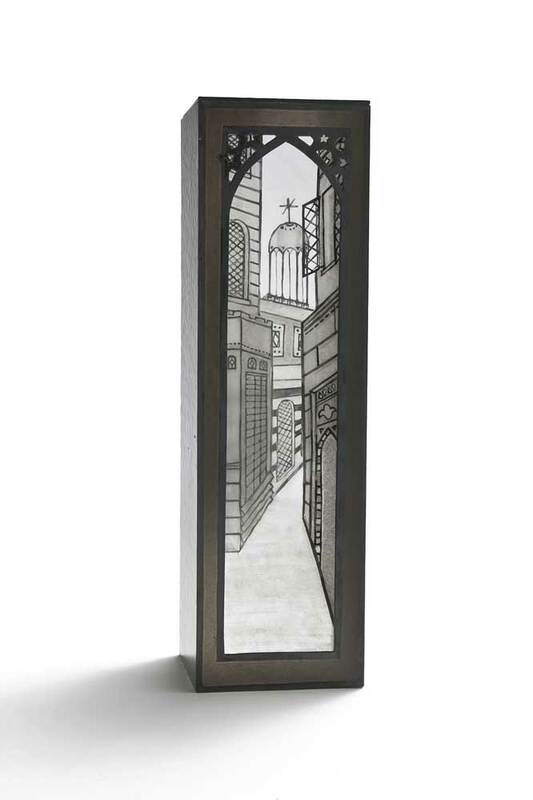 Creating individual portraits of the city and its streets, Ruth has removed all human activity, leaving only the built environment – Islamic architecture, patterns, history and centuries of culture. Paying homage to the profound influence of architecture on the heart and identity of our environment, the works also develop the notion that the occupants leave behind visual mementos of their presence and that these embedded memories shape our visual experience of sites. 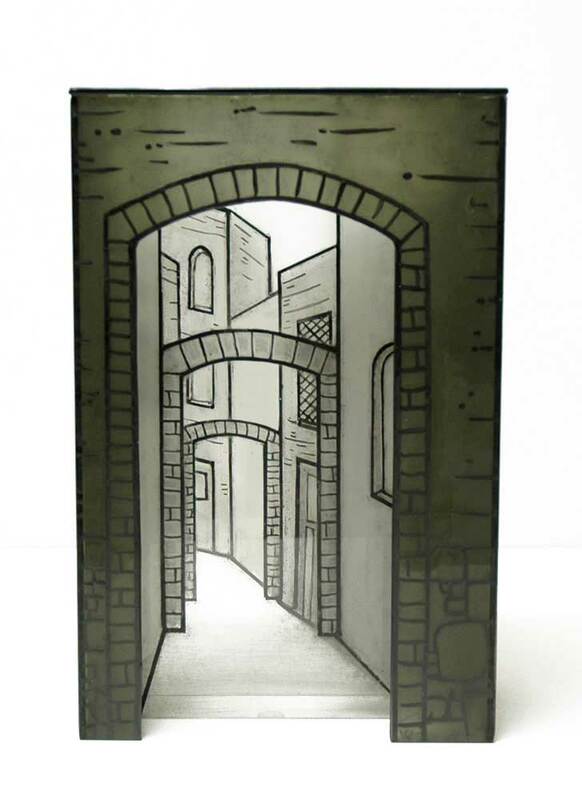 Referencing the role of glass in architecture, Ruth’s pieces suggest windows and are constructed by layering flat sheets of glass embellished with sketching of urban scenes. Whilst each layer speaks of the two dimensional, in combination they create a three dimensional space and the suggestion that any representation is incomplete without all layers of perception – visual, emotional and intellectual. Ruth invites us to navigate street scenes which speak of the poetic facilities of the mind as much as of the sites they depict. Ruth Oliphant commenced her studies in architecture before changing to a Bachelor of Arts/Visual, majoring in glass, at the ANU Institute of the Arts in Canberra, graduating with Honours in 2008. 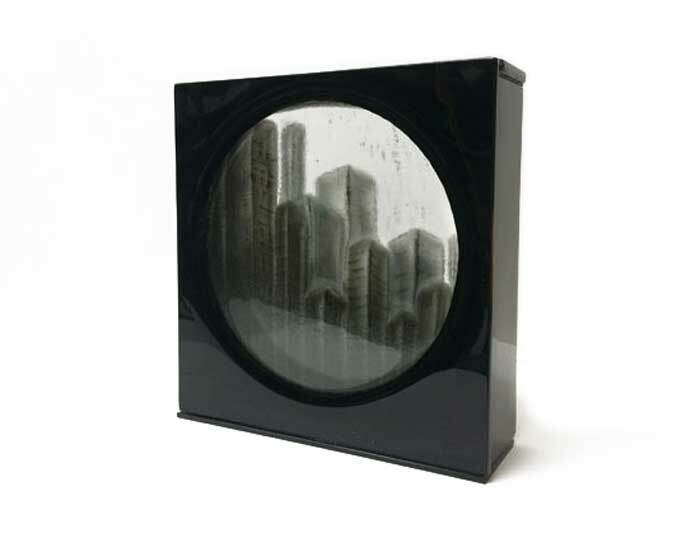 Although only a fairly recent graduate, she has already received significant recognition for her work being a finalist in the Ranamok Glass Prize in 2007 and 2008, receiving the Ranamok People’s Choice Award in 2008, Embassy of Spain Award in 2008, Vicki Torr Memorial Prize in 2009 and an Australia Awards Endeavour Fellowship for 2014. Her first solo exhibition was with Beaver Galleries in September 2009 and was part of a prize awarded by the gallery in 2008.